Animals Have Friends And Those Friends Have Votes! 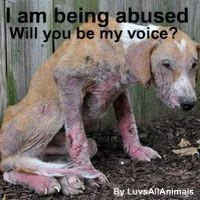 preciousjules1985	Action Alert, Animal Aid, Animal Health & Welfare, Animal Welfare, Environmental Groups, House Of Commons MP's, Human Greed = Animal Cruelty, Sentient beings	Animal Aid, Animal welfare, Democratic Unionists, Human Environment Animal Protection, Labour, Liberal Democrats, London, Plaid Cymru	Comments Off on Animals Have Friends And Those Friends Have Votes! The European Elections take place on Thursday 22nd May. Since many laws relating to animals – including at slaughter and in vivisection laboratories – are generated in Europe, Animal Aid is asking you to do two things: 1) vote, and 2) think of the animals as you do so. Animal Aid wrote to the key political parties standing at these elections to ask for their animal protection policies, and we also put to them five questions relating to animal issues affected by European laws. The Green Party, Animal Welfare Party, Labour Party, Liberal Democrats and Plaid Cymru all responded in the required timeframe. The Conservatives, UKIP, the SNP, Sinn Fein, UUP and the Democratic Unionists did not respond at all. 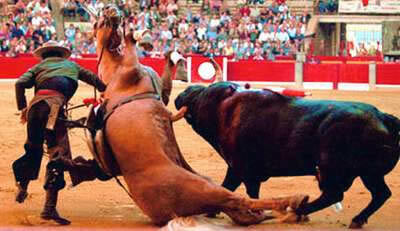 The Green Party supports an end to live export from the UK; mandatory CCTV for all slaughterhouses; ‘absolutely’ opposes cages for egg-laying hens, farrowing crates for pigs and zero grazing of farmed animals; is committed to ending animal experimentation and investing in non-animal replacements; and does not support the use of animals in circuses, horse racing, dog racing or sport shooting. Green Party candidates are standing in every region. The Animal Welfare Party is a new political party focused squarely on being a voice for animals in Europe. It opposes live transportation of animals; supports mandatory CCTV in slaughterhouses; opposes cages for hens, farrowing crates for pigs and zero grazing; supports a phase-out of all animal use in laboratories; and opposes all use of animals in sport and entertainment. The Animal Welfare Party is standing in London only. Read the full responses made by these two parties, as well as Labour, the Liberal Democrats and Plaid Cymru. Thank you for making your vote count for animals. 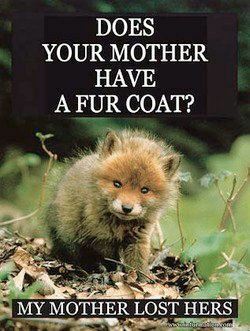 Please ask your friends to vote for the animals too! England’s Prime Minister David Cameron has announced that he will work quickly to bring forward the Government’s draft bill that will ban wild animals from circuses. The bill was originally published last March, but little progress has been made since then. 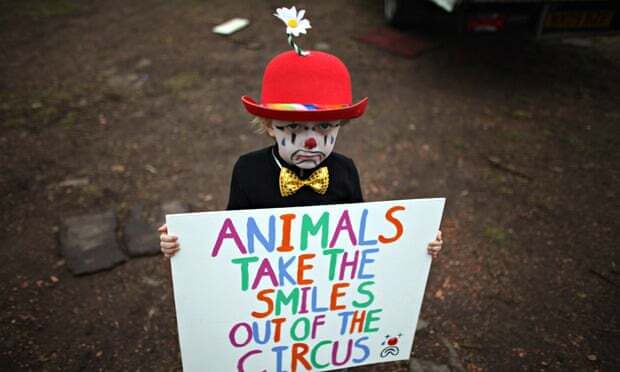 “It is great that David Cameron told Stanley and me today that he will ban wild animals in circuses. Let’s hold him to it. Circuses deny animals their freedom and suppress their natural, wild nature through confinement, tethering and subjugation. 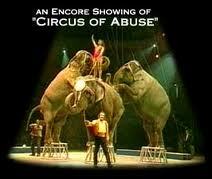 It is wrong for circuses to subject wild animals to such physical and mental suffering. That’s why I am supporting Animal Defenders International’s campaign calling on the Government to urgently legislate a ban on the use of wild animals in circuses,” said Thatchell. “I am very much hoping that this legislation to ban wild animals in circuses will appear in the Queen’s speech and no further delay will be experienced. Circuses that persist in using wild animals undermine conservation efforts by demeaning animals and presenting them as playthings. 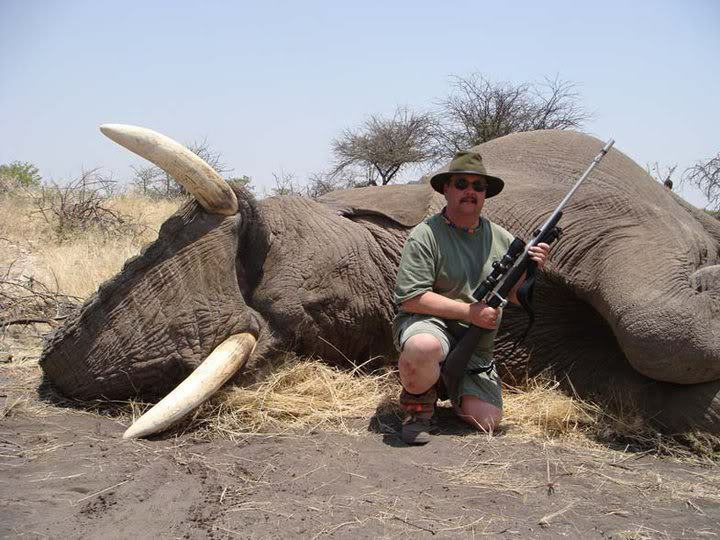 These animals belong in their natural wild habitat, not the circus,” said Johnson. 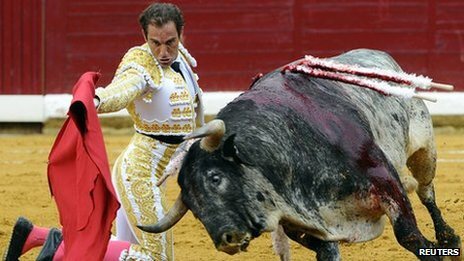 “I applaud Animal Defenders International on its work to stop circus suffering and urge the Government to join the growing number of countries that have banned wild animal acts,” he added. The elephant-shaped letter requesting Prime Minister Cameron to quickly move the bill forward, has been signed by celebrities that include Eddie Izzard, Julian Clary,Moby, Michaela Strachan, and Brian Blessed. Also, among the signatories, isEton, whom is a famous alumni of Prime Minister Cameron’s old school, as well as actor Dominic West and sustainable investment leader Ben Goldsmith. “We are delighted that David Cameron has promised the ADI deputation that he will bring forward the ban on wild animals. So many celebrities and politicians have joined ADI to call on the Government to implement its promised ban on wild animals in circuses. After a 20 year wait the public wants to see this done and if the Government fails to deliver on this promise, it will be directly responsible for continued animal suffering,” said ADI Chief Executive, Jan Creamer. At the moment, more than two hundred local authorities in the UK, and twenty-five countries worldwide have restricted using animals in circuses. A 2010 Defra consultation showed that 94 percent of Britain’s population opposed the use of animals in circuses, and in 2011 sixty-three MPs also agreed that the Government should ban wild animal circus acts. Hopefully, Britain will soon be the twenty-seventh country to rescue wild circus animals from a life of captivity, abuse and exploitation. 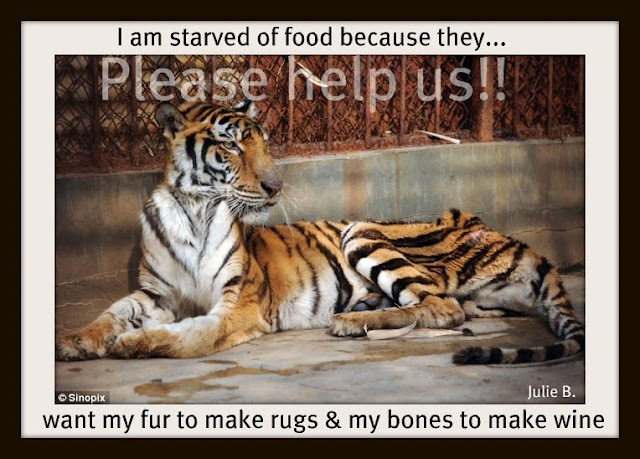 Wild Animal Circus Ban Under Threat! 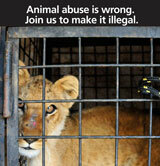 Petition: RSPCA – Circuses are no fun for animals, Hold the Government to its promise! People need to be told officially whether they should eat any processed beef foods in the wake of the discovery of horsemeat in Findus lasagne, the shadow environment secretary has said. 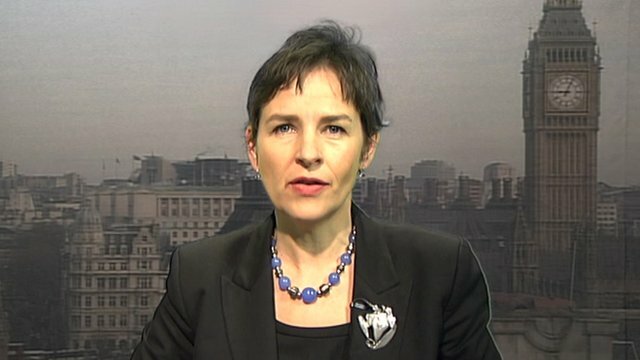 Labour’s Mary Creagh accused ministers of “pretending this isn’t happening”. The government said it was working with businesses to enforce regulations. The Food Standards Agency has ordered UK retailers to test all processed beef products. 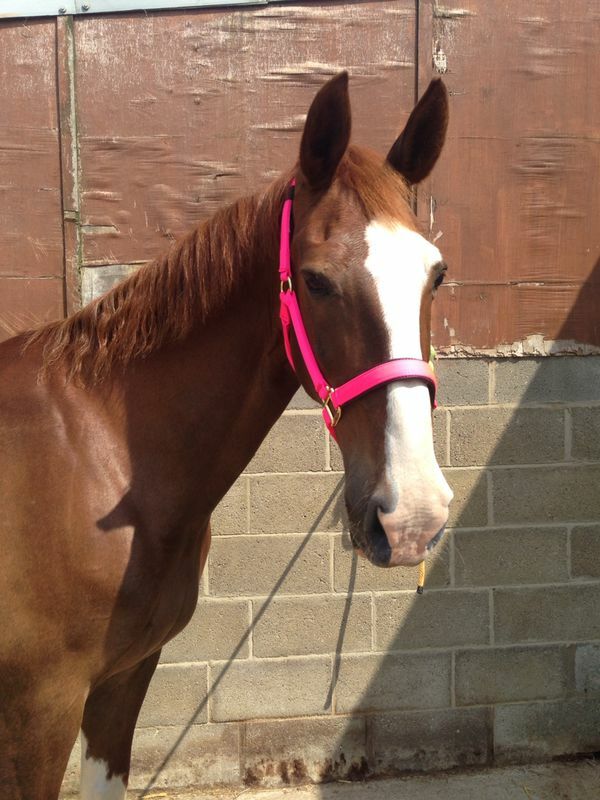 Findus has withdrawn its lasagne from sale. It is the latest company to be caught up in the controversy surrounding contamination of meat products, which has affected companies in the UK, Irish Republic, Poland and France. Ms Creagh expressed fears that there were further revelations to come from the food industry. “What we have had over the last four weeks is a constant drip, drip, drip of revelations from the food industry, from the Food Standards Agency, and what I am worried about is that the more they are testing for horse, the more they are finding,” she said. She suggested official guidance was needed on whether people should eat other processed foods labelled as containing beef. “I certainly wouldn’t, but I’m waiting for the government, the experts, the scientists, to tell us and issue proper clear advice for consumers,” she said. Environment Secretary Owen Paterson called the Findus discovery “completely unacceptable” and said the presence of unauthorised ingredients in foods “cannot be tolerated”. Mr Paterson said the government was working closely with businesses to “root out any illegal activity” and enforce regulations. “Consumers can be confident that we will take whatever action we consider necessary if we discover evidence of criminality or negligence,” he said. The Food Standards Agency (FSA) said it was “highly likely” criminal activity was to blame for the contamination. Chief executive Catherine Brown told the BBC: “I have to say that the two cases of gross contamination that we see here indicates that it is highly likely there has been criminal and fraudulent activity involved. The agency has asked for test results by next Friday. Police in the UK and Europe were involved in the investigations into the contaminated products, the FSA said. It added: “People have been asking whether it is safe to eat any frozen meat products at the moment. 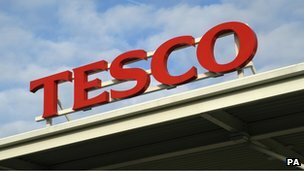 Shoppers who have bought the ready meals have been advised not to eat them and to return them to the shops. The FSA said there was no evidence of a health risk from the contaminated lasagne, but has also ordered Findus to test the products for the veterinary drug phenylbutazone, or “bute”. “Animals treated with phenylbutazone are not allowed to enter the food chain as [the drug] may pose a risk to human health,” it said. 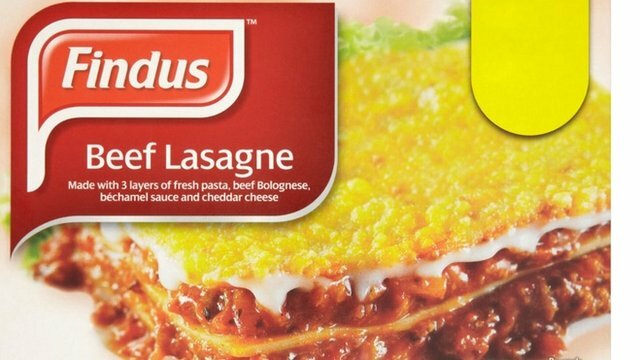 Findus’s affected products were made by a third-party French supplier, Comigel, which had alerted the company to concerns that the beef lasagne product did not “conform to specification”. Findus had withdrawn its beef lasagne in 320g, 360g and 500g sizes as a precaution on Monday. The company said: “We understand this is a very sensitive subject for consumers and we would like to reassure you we have reacted immediately. We do not believe this to be a food safety issue. It said all its other products had been tested and were not affected. A statement from the British Meat Processors Association (BMPA) said it “deplores the latest reported incidents of gross contamination of some processed meat products“. Earlier this week, Comigel had advised Findus and Aldi to withdraw Findus Beef Lasagne and Aldi’s Today’s Special Frozen Beef Lasagne and Today’s Special Frozen Spaghetti Bolognese. An Aldi spokesman said its products had been withdrawn immediately and the retailer was carrying out its own investigations. “The products will remain withdrawn from sale until we are confident that the meat content complies with the specification presented to us,” he said, adding that customers could claim refunds by returning packaged products.